← Interdisciplinarity in evolutionary science… and video game design. Michigan State University BEACON Research Fellow Dr. Wendy Smythe receives an AAAS Science & Technology Policy Fellowship. Wendy will be working at NSF within the EHR/Division of Research on Learning in Formal and Informal Settings/Innovative Technology Experiences for Students and Teachers/Discovery Research PreK-12. Fellows demonstrate leadership and excellence in their research careers, in addition to an interest in promoting meaningful dialogue between science and society, learning first-hand about policymaking while contributing their knowledge and analytical skills in federal policy. Fellows serve year-long assignments in the executive, legislative, and judicial branches of the federal government in Washington. Dr. Smythe received her doctorate in Oceanography/Environmental Science from Oregon Health & Sciences University in 2015 and investigates microbe-mineral interactions from groundwater ecosystems and the evolution of microbial populations in metalliferious springs. She is also a Co-PI on a collaborative NSF GEOGOLD project to increase awareness of diversity in Geoscience. 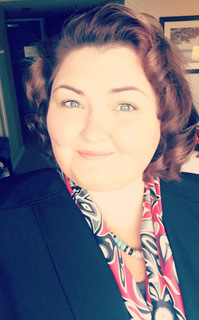 In addition Smythe works to couple STEM with Traditional Ecological Knowledge in an effort to increase representation of Native American/Alaska Natives in STEM disciplines, working with her tribal Haida community in Hydaburg Alaska, a tribal community located on Prince of Wales Island. The American Association for the Advancement of Science publishes the journals Science, Science Translational Medicine, Science Signaling, and Science Advances, a digital, open-access journal. Science has the largest paid circulation of any peer-reviewed general-science journal in the world. AAAS was founded in 1848 and includes nearly 250 affiliated societies and academies of science, serving 10 million individuals. The nonprofit organization is open to all and fulfills its mission to “advance science and serve society” through initiatives in science policy, international programs, science education, public engagement and more. To learn more about AAAS STPF go to www.aaas.org/page/stpf/become-st-policy-fellow. This entry was posted in Member Announcements and tagged diversity. Bookmark the permalink.